Maximum Recommended Crankshaft Stroke 4.00”. This oil pan is not for use on engines that originally used a dry sump oiling system. Recommended LT Dipstick & Dipstick Tube – GM p/n’s 12658475 & 12661062. Some factory LT1 applications include an oil temperature sensor. Currently this pan does not have a boss to install that temperature sensor. If the sensor is desired, it will have to be relocated and machining would be required. GM's new Gen V LT direct injected engines are starting to find their way into a large variety of vehicles. They make great power, plus they're very durable and reliable. Unfortunately, the factory oil pans don't always fit or they hang too low for today's hot rods. 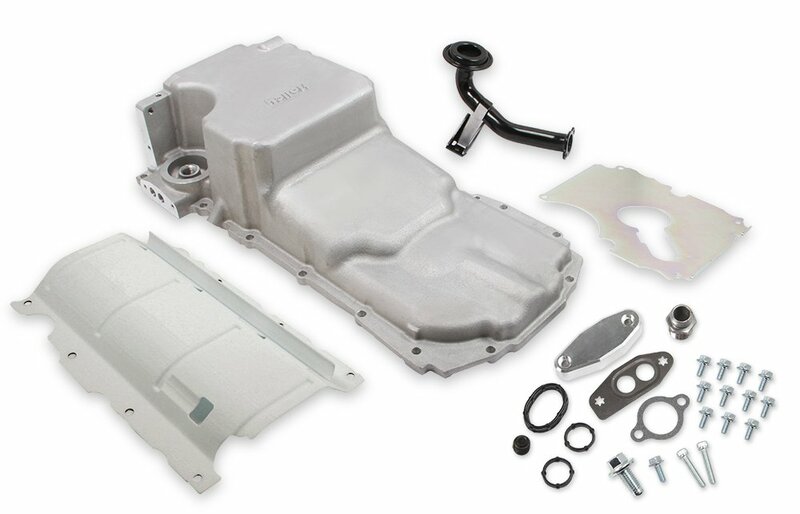 Holley's new LT Retro-fit Engine Oil Pan is designed to help! 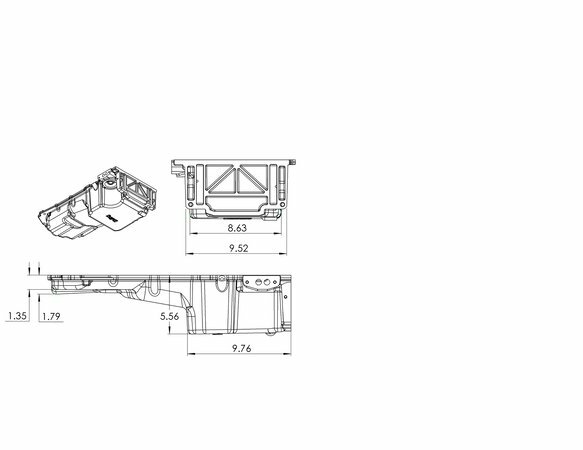 It provides maximum clearance to the chassis and ground, plus provides an OEM fitment for durability and proper sealing. These oil pans are perfect for: 1967-'02 Camaro/Firebird, 1968-'74 Nova/Apollo/Ventura/Omega, 1978-'87 G-body, 1964-'72 A-body, and 1973-'87 Chevy/GMC Full Size Trucks. Provides OEM fitment - Oil filter mounting, OEM Engine NVH Suppression, OEM Flange Sealing, Proper Structural Rigidity and OEM Bell-Housing Attachments. 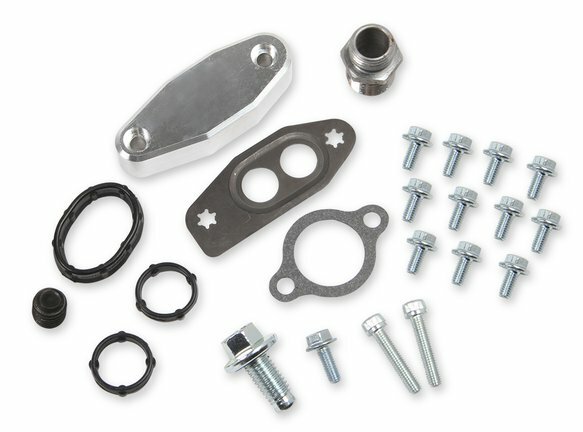 Complete Kit Includes: Windage Tray, Sump Baffle, OE Style Pick-Up Tube, Sump Port Plug, Oil Filter Stud, Billet Oil Passage Cover, etc.